For thousands of years, the induction of insanity via a technological weapon has been viewed as the weapon of the devil. Satan has long been a tool of an extraterrestrial influence, one to shed blame to. Demonic possession has been fought by the Churches of our past as a real weapon attributed to a real enemy. Today that enemy is more prevalent than ever, and its true nature is being revealed to the world. It’s power is the ability to both subtly and overtly manipulate the minds of humans, and in modern times it has been written about repeatedly as an infestation within global government, a secretive force which manifests itself in positions of power and greed. 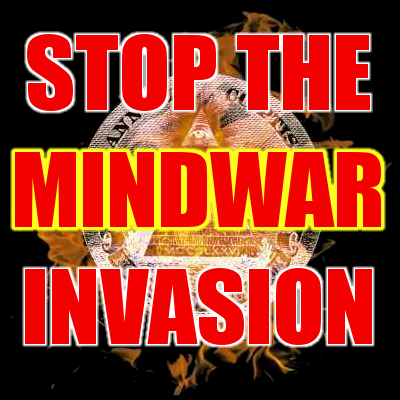 This force is alien, and its technology far advanced from the equipment utilized by our own intelligence agencies, who have most likely searched for and obtained mind control technology in an attempt to understand this influence–of which they are fully aware. This extraterrestrial influence is now, and has always used a group of humans in order to carry out its hidden war against humanity. It uses mind control, the artificial induction of delusion, and this human force in order to commit atrocities, using a force it later will destroy, thus blaming its enemies for committing these acts on its behalf. In the late 50’s it used the USSR in the cases of John Nash and James Jesus Angleton, and today it uses the CIA, NSA and law enforcement of the United States. The MK-ULTRA and related projects which occurred shortly after the crash of an alien vessel at Roswell, NM prove beyond a reasonable doubt that our government is aware of an extraterrestrial influence over humanity. Cases of experiencing the hidden influence of the Octopus are not limited to those with questioned sanity however, in the recent past a wave of writers who have first hand testimony related to the machinations of an alien influence with advanced technology have become prevalent in the fringe. More importantly, many of these writers have been murdered with the very same technology, with strokes, heart attacks, and forced suicides being highly prevalent among writers describing the Octopus. Danny Casolaro, Jim Keith, John Norseen, and Frank Olssen are just a few of those who have been “killed for their testimony.” It is the deaths of these people caused by control of the sympathetic nervous system, as well as the apparent induction of insanity in other victims which proves beyond any doubt that the mechanism of action is working mind control technology. It’s time to wake up and take notice, we are being attacked, and we don’t even know it. The perception of insanity has been used to hide the existence of an ongoing invasion of a hidden influence in our society, it must not be ignored any longer.